Josh Brolin directed some tought talk to Dwayne "The Rock" Johnson on his Instagram post under a photo of Thanos in full fighting gear. Josh Brolin has become Hollywood's go-to villain. He took on Deadpool as Cable and even all the Avengers in Infinity War as Thanos. But now Josh Brolin has his eyes set on another hero -- The Rock. Brolin called out Dwayne "The Rock" Johnson on Instagram with some tough talk. 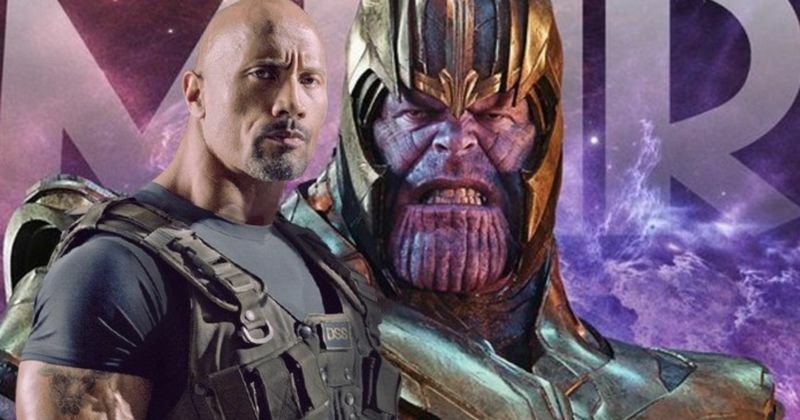 It's unclear what Brolin means because there's no way The Rock will have a chance to take on Thanos. And with The Rock already suiting up for the DCEU as Black Adam it doesn't seem likely that he will be a part of the MCU anytime soon. Maybe it's just a fun little jab at the big man. Josh Brolin will be back as Thanos in Avengers: Endgame and he's going to have his hands full as the Avengers are now gunning for him. Will the earth's mightiest hero's defeat Thanos and restore half the universe or will the mad titan have his way? We got to wait till April 26th to find out.